The demand of office building increases in the three largest cities! The demand of office increases in the three largest cities! The market size of real estate in Japan is about 40 trillion yen(about 400 billion dollars). There are three companies whose sales are over one trillion yen. Developers grow with offices, hotels, physical distribution facilities and overseas. The market size of real estate in Japan is about 40 trillion yen(about 400 billion dollars) in 2016 according to the report of Ministry of Finance of Japan. Japanese real estate developers are redeveloping the central part of Tokyo because the central part of Tokyo was desinged by National Strategic Special Zones. The restrictions of Building Standards Act is eased at the National Strategic Special Zones. However, land price of Tokyo is rising garadually because of strong demand and investment money. 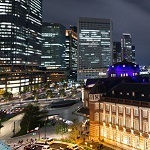 The demand of office building in the three largest cities, Tokyo, Osaka and Nagoya, will increase since economic growth is expected to remain robust and many companies will continue to expand their office space. An office area is widing yaer by year, but the number of office buildings decrease a few. That suggests that some office buildings are redelopmented. and converted to the other uses. The vacnacy rate of office is decreasing though real estate developers supplied the largest office buildings in 2017. On the other hand, the number of new housing starts remains flat or decrease a few in 2017. The number of new houses to let is decreasing from June. That were drag on the number of new housing. That will increase because of demand ahead of the consumption tax hike in 2019, but that will decrease again after that. Viewing from the medium- to long-term standpoint, to decrease that is unavoidable in Japan because of aging society. The number of selling condominiums is about 77 thousand in 2017. That in the metropolitan area is 36 thousand, increased 0.9% from previous year. That increased about 30% from the previous year in some months of 2017. However, there are about six thousand condominiums left unsold every month since condominiums price remains at high levels. The high condominiums price is likely to remain over the next few years because of high construction cost and rising land price. Some of young families hold off buying a condominium for a high peice. 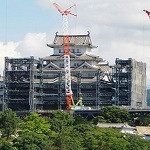 About the share of real estate in Japan, there are three companies whose sales are over one trillion yen, Mitsui Fudosan Co., Mitsubishi Estate Co. and Daito Trust Construction Co.. Mitsui Fudosan is the first, Daito Trust is the second, Mitsubishi Estate is the thrid in the sales ranking of Japanese real estate developers. Sumitomo Realty & Development Co, has the top share of condomiums sales. Mitsui Fudosan is the largest real estate developers in Japan, its sales is 1.7 trillion yen in 2017. It used to be the real estate part of Mitsui Zaibatsu(big conglomerate) which was found by Mitsui clan. It constructed the Kasumigaseki building which is the first skyscraper in Japan. In addition, it is well known for establishing Oriental land Co. which owns and operates Tokyo Disney Resort. Daito Trust Construction mainly develop rental house and apartment. 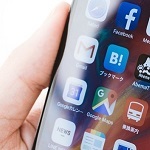 It is the largest company in developing them, its sales is about 1.5 trillion yen in 2017. Mitsubishi Estate is a member of Mitsubishi group, its sales is about 1.1 trillion yen in 2017. It is well known as a owner of Marunouchi area around Tokyo station. It virtually controlls all the redevelopment of this area. Japanese real estate market will shrink because of falling birthrate and depopulation in the future. Japanese real estate developers face and fear that, but they believe thier growing with developing office buildings, hotels and physical distribution facilities. The major companies' head office are gathering Tokyo and Osaka, the demand of office building is strong especially in a city area. The demand of hotels are rising by increasing foreign visitos. The damand of physical distribution facilities is also increasing with expanding of internet shopping. In addition, Japanese real estate developers began to expand overseas little by little. They do it not only by M&A but also developing with overseas partner companies. Mitsui Fudosan is construcing an apartment in Washington, D.C. with Jefferson Apartment Group, it will be completed in 2020. Mitsubishi Estate is constructing a large complex facility in Singapore with CapitaLand Limited, it will be completed in 2021. Mitsui Fudosan, Mitsubishi Estate and Daito Trust Construction are listed on the Tokyo Stock Exchange. Foreign investors can invest in them on NYSE by ADR(American Depositary Receipt). In addition, they can do them through many ETFs, MAXIS Nikkei 225 ETF(NKY), iShares MSCI Japan ETF(EWJ), Wisdomtree Japan Hedged ETF(DXJ) and more.